﻿Julie left school & made her way through 'office life' for eighteen years before realising her dream was to be a Beauty Therapist. It took real determination to follow her heart and began training at York College to receive her VTCT qualifications in Cosmetic Make-up Application (distinction), Eye Treatments, Nail Treatments, Waxing, Facial Massage, Massage. Now six years on from being a mobile beauty therapist she has gained a good reputation in an around the surrounding areas of York and has a solid regular client base, who now visit her professional beauty room at home in York. Julie's goals are to keep her clients up to date with current beauty trends at her treatment room with high levels of professionalism and customer service. Aswell as York College Julie trained at the Yves Saint Laurent Academy in London for make-up application from natural, bridal to extravagant catwalk make-up. Julie also works as a Consultant for Temple Spa. 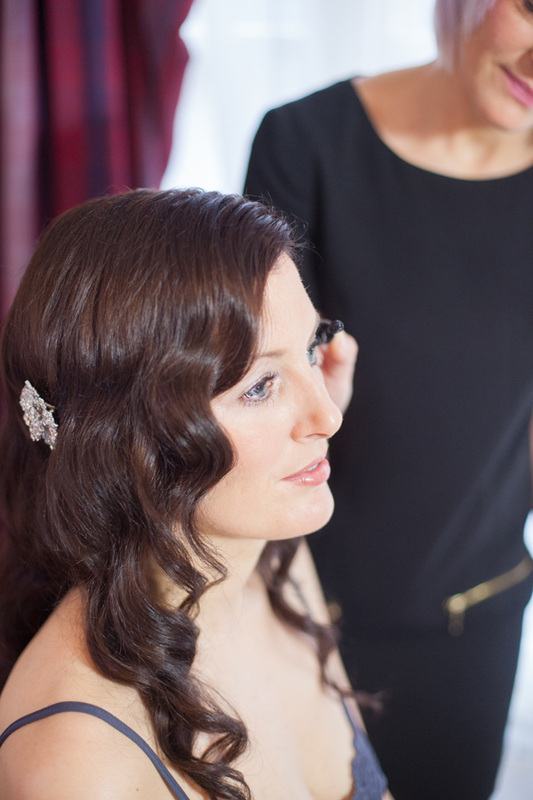 Julie also offers an exclusive Pre-wedding bridal pamper for the bride and bridal party the day before the big day! So you can have the ease of having your beauty treatments (inc nails, lash extensions, eyebrow shape) in your hotel, home or my treatment room with your friends & family.